The San Francisco Planning and Urban Research Association (SPUR) recently featured my argument about rethinking the past, present and future of sprawl in its June issue. Below are links to my two pieces and a great analysis by Jake Wegmann and Chris Schildt. Thanks to Egon Terplan, Allison Arieff and Gabe Metcalf for both great editing and the opportunity to make our case. While these ten cities may not be on everyone's radar, together they represent a tremendous opportunity for long-term growth in the region. Solving the problems of the Cities of Carquinez means embracing the subregion's economic, racial, and social diversity. An urban planner finally stops to take a look around — and not just a drive right through — a region in his own backyard. Please don't steal things. Just link, no? Stanford has been kind enough to make the video available from my recent talk, and I will post more as they become available. 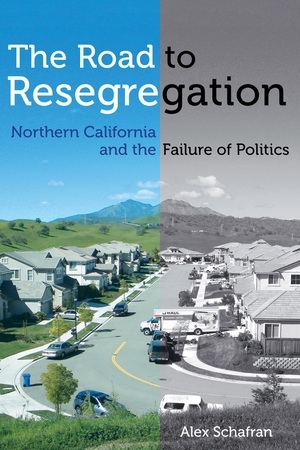 Human Cities Expo 2018: Alex Schafran, The Road to Resegregation - Northern California and the Failure of Politics from Stanford Human Cities on Vimeo. Thanks to all the supporters who made the first part of the book tour possible. More to come!